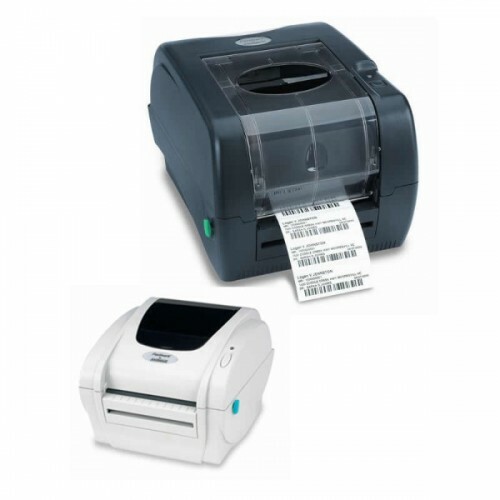 Fastmark FM M5+DT/TT 203 dpi Thermal Printer with LAN - 4 inches wide, 5.0 inch media roll. Includes PAL Plus, Eltron, Zebra, and Datamax emulations. FM M5+ DT/TT 203 Lan Std FM M5 DT/TT 203 dpi with LAN, 4"" wide, 5.0"" media roll, Std. Includes PAL Plus, Eltron, Zebra, and Datamax emulations. FM M5+ DT/TT 203 Lan Fl2 FM M5 DT/TT 203 dpi with LAN, 4" wide, 5.0" media roll, Flash - 2MB. Includes PAL Plus, Eltron, Zebra, and Datamax emulations. FM M5+ DT/TT 203 Lan RTC FM M5 DT/TT 203 dpi with LAN, 4" wide, 5.0" media roll, RTC. Includes PAL Plus, Eltron, Zebra, and Datamax emulations. FM M5+ DT/TT 203 Lan Peel FM M5 DT/TT 203 dpi with LAN, 4" wide, 5.0" media roll, Peel. Includes PAL Plus, Eltron, Zebra, and Datamax emulations. FM M5+ DT/TT 203 Lan Cut FM M5 DT/TT 203 dpi with LAN, 4" wide, 5.0" media roll, Cutter. Includes PAL Plus, Eltron, Zebra, and Datamax emulations. FM M5+ DT/TT 203 Lan FL2/Peel FM M5 DT/TT 203 dpi with LAN, 4" wide, 5.0" media roll, Flash/Peel. Includes PAL Plus, Eltron, Zebra, and Datamax emulations. FM M5+ DT/TT 203 Lan Fl2/Cut FM M5 DT/TT 203 dpi with LAN, 4" wide, 5.0" media roll, Flash/Cutter. Includes PAL Plus, Eltron, Zebra, and Datamax emulations. FM M5+ DT/TT 203 Lan Peel/RTC "FM M5 DT/TT 203 dpi with LAN, 4"" wide, 5.0"" media roll, Peel/RTC. Includes PAL Plus, Eltron, Zebra, and Datamax emulations." FM M5+ DT/TT 203 Lan Cut/RTC FM M5 DT/TT 203 dpi with LAN, 4" wide, 5.0" media roll, Cutter/RTC. Includes PAL Plus, Eltron, Zebra, and Datamax emulations.